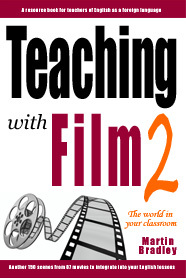 Welcome to the website for Teaching with Film and Teaching with Film 2, two resource books for teachers of English as a foreign language. The original! (2nd edition) The sequel! 175 scenes from 100 movies with over 450 follow-up tasks plus vocabulary and listening tasks. 150 new scenes from another 87 movies with over 450 follow-up tasks together with vocabulary, listening and pre-activity tasks. Are you looking for new ways to motivate your students? 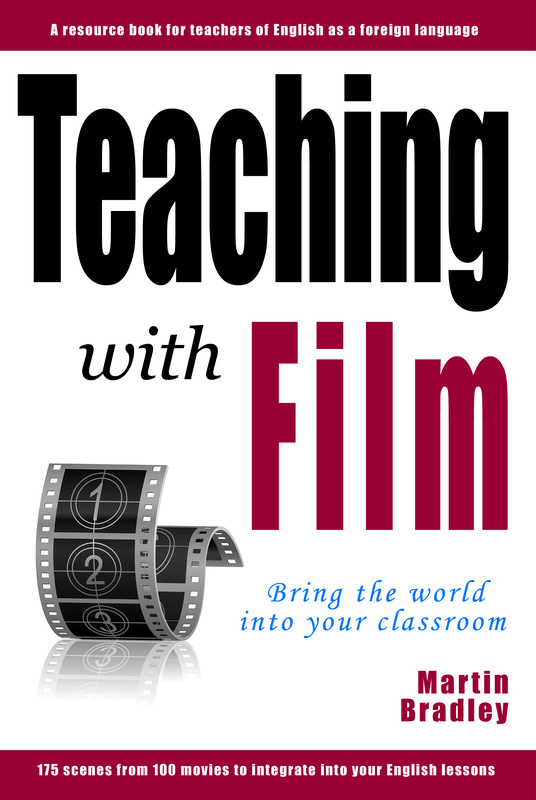 Would you like to bring more film into your classes? 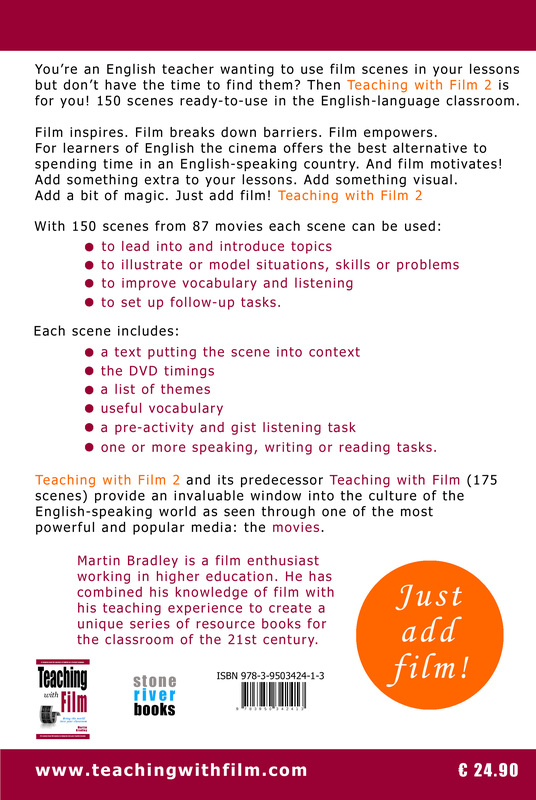 Do you want to add something extra to your English lessons, something visual with a bit of magic, something from which students can learn as well as be entertained? 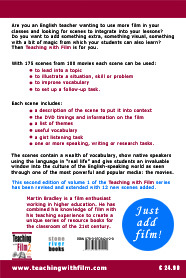 Then the resource books Teaching with Film and Teaching with Film 2 are for you. The two volumes contain 325 memorable scenes from 187 movies and with more than 900 follow-up tasks. You want your students to practise one of the four skills; you want to lead in to a topic; you're looking to illustrate a (business) skill, then you will find a clip here. See a sample film scene from the original book. The scenes contain a wealth of vocabulary, show native speakers using the language in "real life" and give your students an invaluable and fascinating window into the culture of the English-speaking world. The books are aimed at teachers of English as a foreign language working in schools, higher education or language schools with students of an intermediate level and upwards and using communicative language teaching methods. 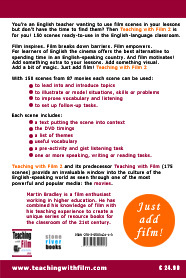 Martin Bradley is a film enthusiast, working in higher education. 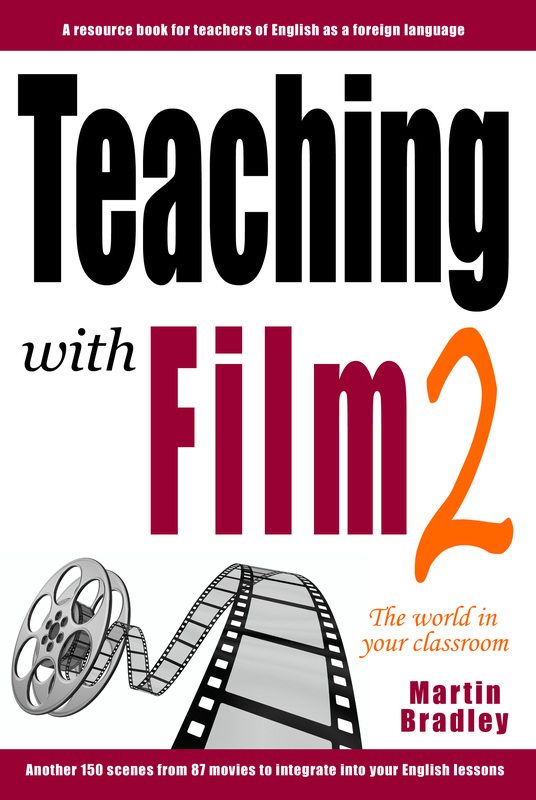 He has combined his knowledge of film with his teaching experience to create a unique series of resource books for the classroom of the 21st century. © 2013-19 Martin Bradley and licensors. All rights reserved. Scenes for the classroom from Oscar-nominated films. doesn't go to . 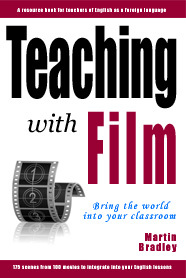 . .
Finding film scenes to use in the classroom can be a time-consuming business. So why not reduce your workload by concentrating on the best English-language films as determined by the Academy of Motion Picture Arts and Sciences annually in Los Angeles. Here is a selection of scenes from films which were nominated for an Oscar in recent years, but lost (in that category). How can we use them in the classroom? From Bohemian Rhapsody to Green Book: film scenes to motivate, inspire and learn about life.